This is an oversized item and will be delivered Curbside only via trucking company. Brand New in Original Box. Item may required some assembly. Ship within 2-3 Business days. Lowest Price Guarantee. 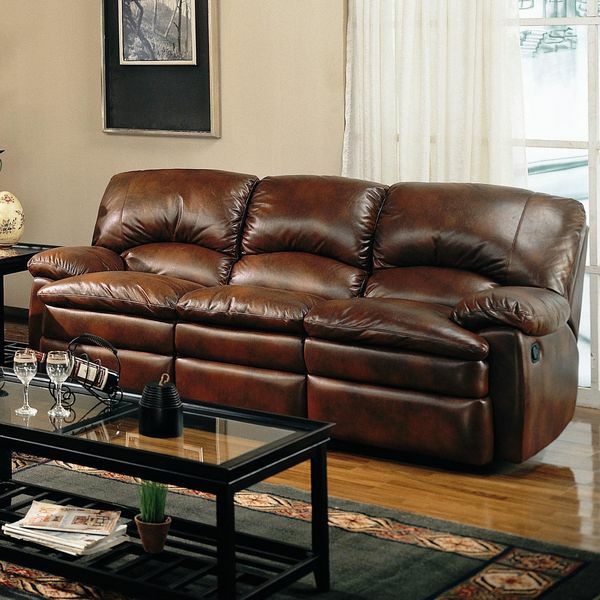 The Classic Tri Tone Leather Sofa has a distinguished design that will bring a touch of elegance to any setting. The sofa features rolled arms and is adorned with stylish nail-head trim. 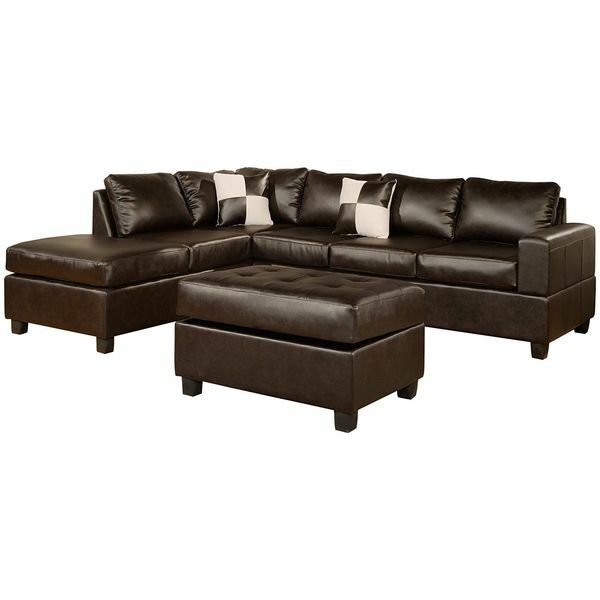 The three-over-three plush cushion design provides comfortable seating for up to three, and the sofa is supported by intricately carved wooden legs..
With the Bobkona Soft-Touch Reversible Bonded Leather Match 3-Piece Sectional Sofa Set, you can set up your seating area however you wish. The chaise and sofa can be situated for a right or left-handed angle, and a plush blind tufted ottoman is included. 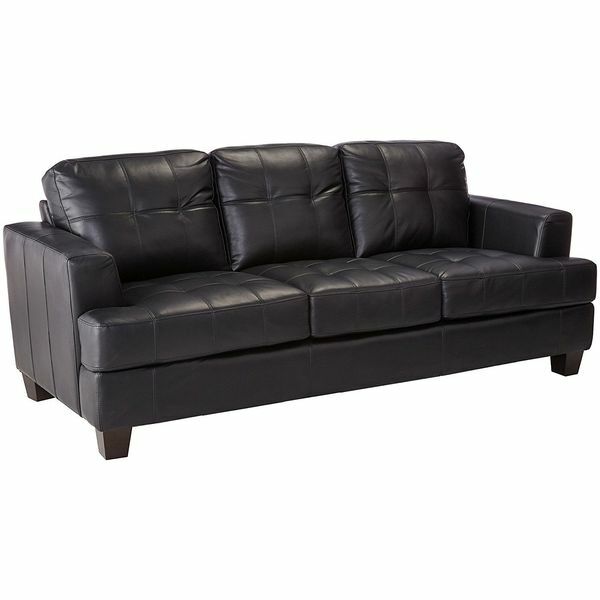 Supported by strong hardwood frames, the pieces are upholstered with exquisite bonded leather. 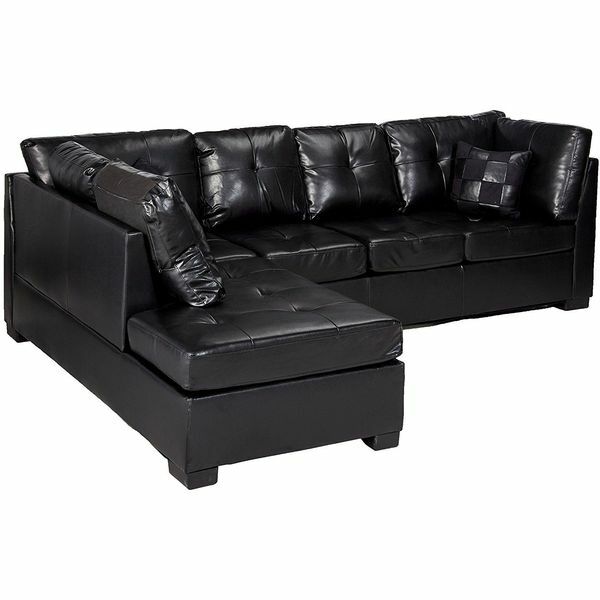 The Contemporary Black Leather Sectional Sofa Left Side Chaise by Coaster puts that minimalistic modern finish on the look of a seating area with its go-with-everything bonded leather upholstery, single tufted cushions and block feet. 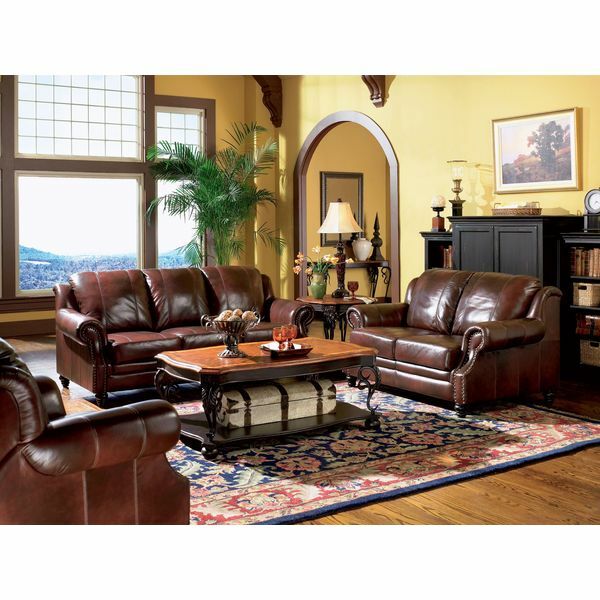 The sectional is truly of the finest quality, as it features a frame made from ultra durable kiln dried hardwoods. Whether you want to kick back and relax, lay down and stretch out or sit upright to sip a drink or chat with friends, the Coaster Walter Casual Dual Reclining Sofa provides the perfect place to do it. The sofa reclines with a Leggett and Platt mechanism and both the arms and seat cushions are over-stuffed for a truly luxurious feel. Over 1,000 individually placed nailheads to highlight this set’s gentle curves. The Victoria Sofa has an elegant design that will have it looking at home in even the most lavish surrounds. 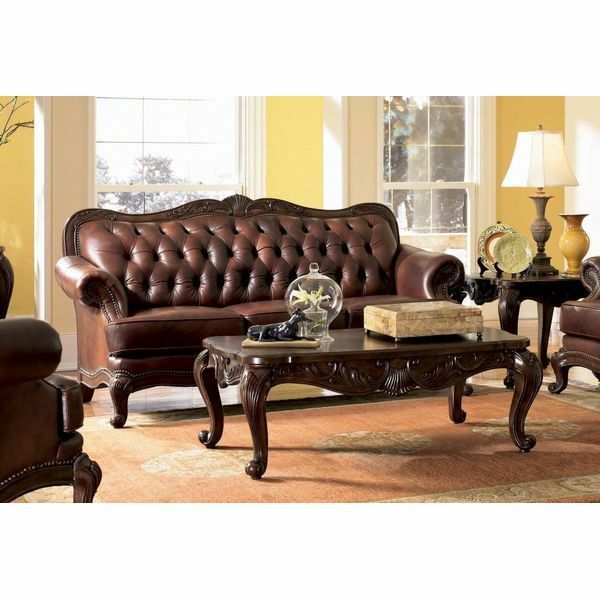 The sofa has a classic button tufted back with a painstakingly carved back rail. More than 1,000 decorative nails have been meticulously applied to the piece to accentuate the stunning curves of the sofa, and the feet have a traditional curved design for that final touch of class. The Samuel Sofa is a casually elegant three-over-three sofa with T-style attached seat cushions and stylish blind tufting. A solid wood frame gives the sofa strength and stability, and the bonded leather upholstery is 2 millimeters thick, making it highly resistant to wear and tear. Tapered block feet perfectly complete the design.